Plus, there were a lot of animations of the 80’s that were shown during the 90’s that further added to my confusion. A few titles that I do recall are the Transformers (hey, they’re giant robots, right? ), and Voltron: Defenders of the Universe. In fact, it was not until a few years ago that I just realized after a bit of research that the original Transformers animation was not anime, but a cartoon. There was also Robotech. 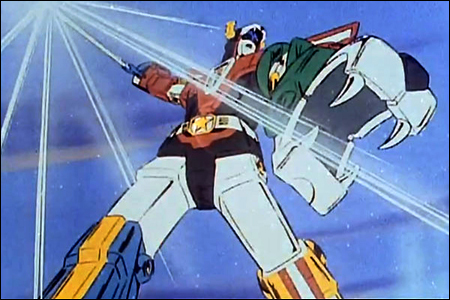 When I was a kid, I sort of enjoyed these giant fighting and transforming robots, but as I look back on them now, it sort of sends shivers down my spine. Now, don’t get me wrong. They had some influences in my life such as how teamwork is awesome and giant robots are cool. But I guess the plot and animation sort of worn out on me. In any case, I am thankful for these influences, for if it wasn’t for them, I wouldn’t probably be enjoying my mecha anime now. I’ll probably need a little more trip down my memory lane to recall which animation belongs to which genre, which anime or show I managed to finish, and which I’d rather not continue. Posted in Life.Tagged anime, blog, giant robot, life, mecha, memory, robot, super robot, tv.